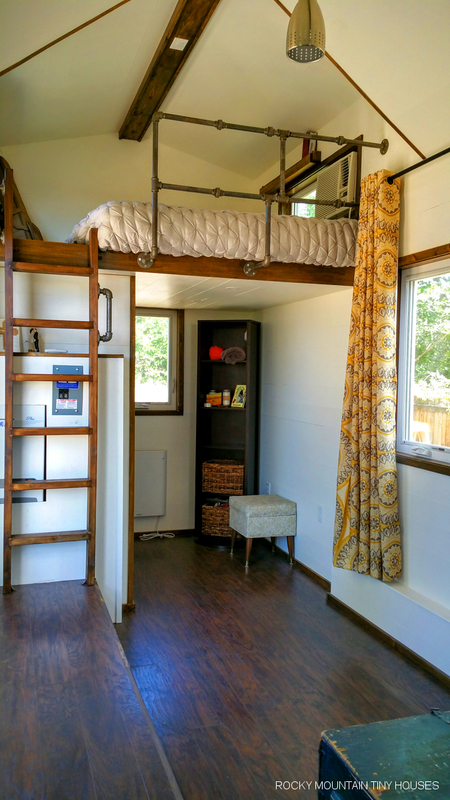 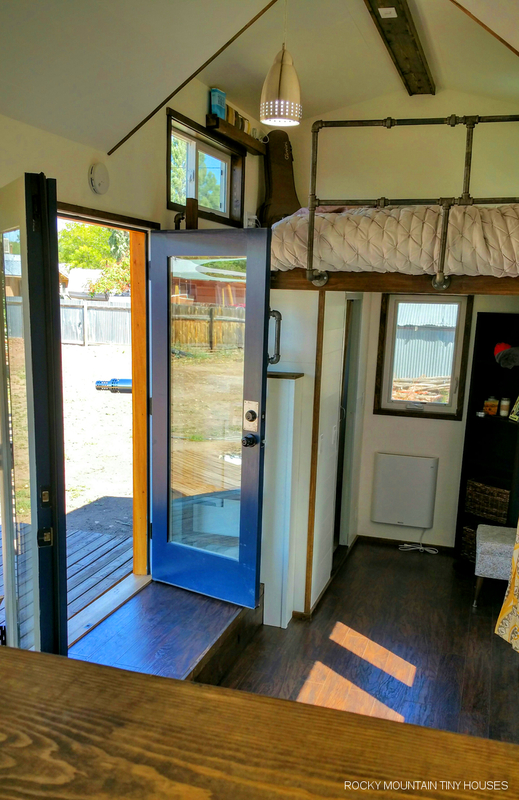 This pretty tiny house is now called home by a newly-wed couple in Albuquerque, New Mexico. 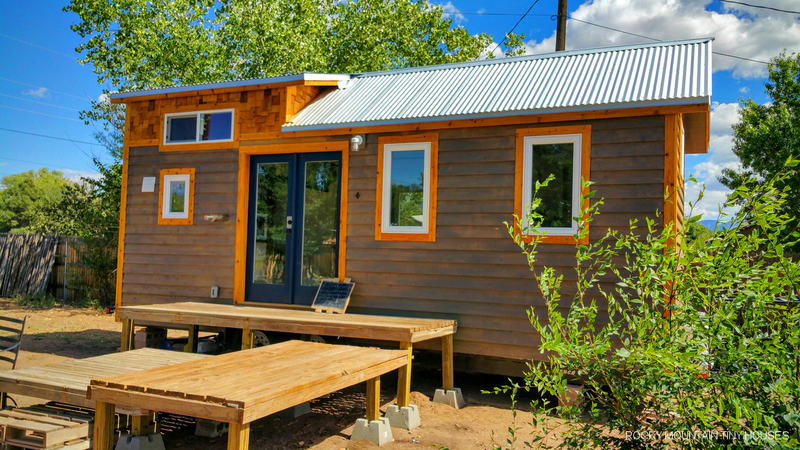 The home was built using Structural Insulated Panels (SIPs), and finished using a grey-stained cedar lap siding with naturally-stained cedar shakes on the exterior. 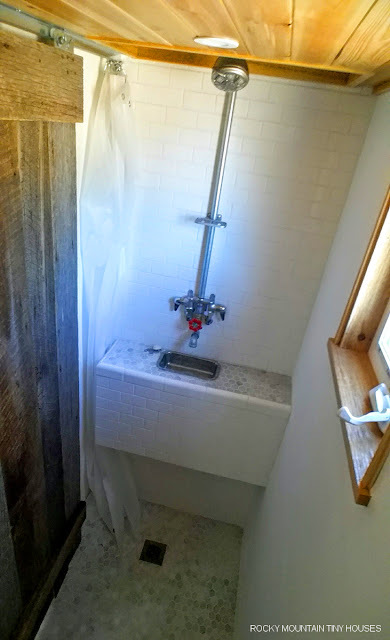 For some extra space, the home had a small set of outdoor platforms added. 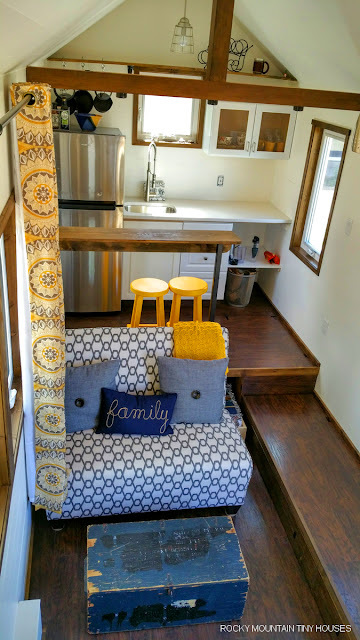 Inside the home is a kitchen with a bar-style dining table, a spacious living room, a bathroom and a loft bedroom. 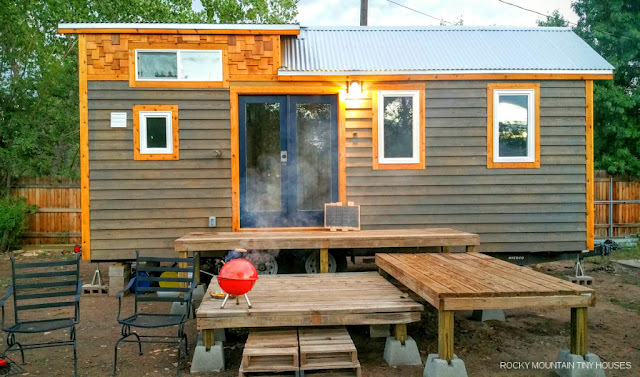 To purchase your own model of this home, the home’s maker, Rocky Mountain Tiny Houses, quotes the home between $51,000 to $57,000, depending on requested finishing touches.